Lately, we’ve been hearing many of our guests and neighbors talking about the Sonoma Plaza or “Sonoma Square.” It’s not a new place. 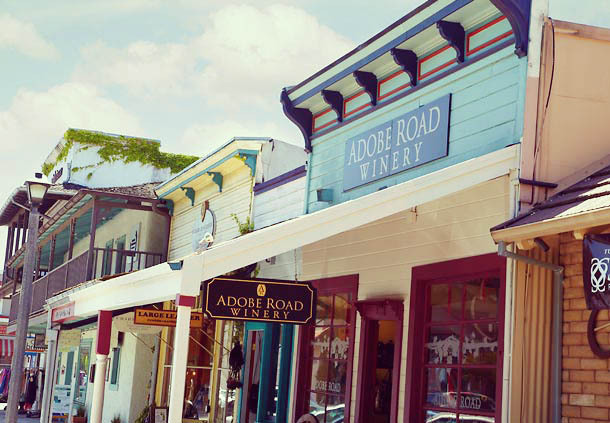 As the historic center of town, the Sonoma Plaza has long been a popular location for local gatherings, farmer’s markets, boutique hotels and some of Sonoma’s most loved restaurants. Recently though, we’ve been hearing more about new tasting rooms opening on Sonoma Square. In 2010, there were 6 tasting rooms on the square, in 2012 there were 16 and at last count, there were 26! Needless to say, the popularity surrounding wine tasting and tourism in Sonoma is growing. Rapidly. Sure, the plaza is pretty, and it’s home to the world’s most delicious breakfast sandwich spot, the Sunflower Caffé, and you can get great desserts, people-watch at The Swiss Hotel, savor a memorable French-inspired meal while sipping Rhone wines at The Girl and the Fig and yes, you can even go wine tasting at any of the plaza’s 26 tasting rooms. It’s convenient, and it helps that all of this happens within a few steps without the need to drive a car. But is this really a wine experience? There is something about driving by miles of vineyards, anticipating that turn into the driveway of one of your favorite wineries, or a new winery you’ve never been to. It’s exciting. Each winery and story is unique. The vineyards, the tasting rooms, the barrel rooms (or caves) and the people who spend each day growing, crafting and serving the wines culminate in an experience that make sipping the fruits of their labor so much more memorable. If you are interested in learning more about wine, there is no better way to do so than to visit wineries. Have you ever been to a tasting room and not learned at least one new thing about wine, or at least about those specific wines? Neither have we. And one of the best things about visiting wineries is that you can go back and never have the same experience twice. One benefit of being surrounded by grapevines is that nature gives us constant and obvious reminders that the seasons are changing, or that it’s been a wet year or a dry year or a cold or hot one. The vineyards look different from week to week and the wine is always changing too. Sometimes you’ll be disappointed that your favorite wine has run out, but if you ask nicely you might be able to get a sample of the next vintage right out of the barrel. That’s not likely to happen in a tasting room on the Sonoma Square. 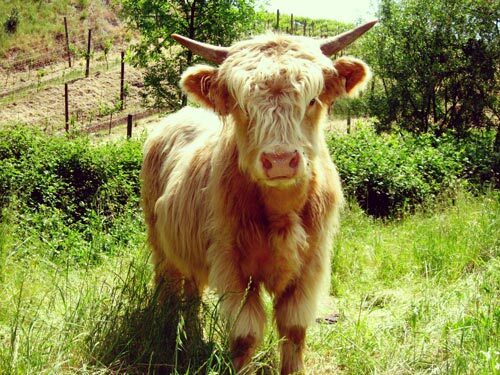 Just here at Benziger Winery, guests can take a tour and learn about Biodynamic Farming. They can see our cows and sheep at work, taste wine in our caves or from the barrel, sip wine in the historic ranch house where the Benzigers lived when they first moved to Sonoma Mountain, try several Sonoma Coast Pinot Noirs and meet winemakers, family members and droves of people who have worked on the ranch for years and who have incredible passion and knowledge about wine. And we aren’t alone! Try mountaintop tasting at Kunde Family Estate, check out the brand new tasting room at Madrone Vineyards (formerly Valley of the Moon) or taste wine in a historic chateau at Chateau St. Jean. The point is, it pays to get out of town, and it’s the only way to truly experience Wine Country and rub elbows with the people who craft your favorite wines year after year. Wine City? Well that can be nice. But if you are coming all the way to Sonoma, we urge you to think outside the square. Grab a wine country map and go exploring. You never know what hidden gems you’ll find. The view today, October 22nd at Benziger Winery. Tagged Sonoma, sonoma plaza, sonoma square, vineyards, wine, wine country, wine tourismBookmark the permalink. Visiting the Square in Sonoma recently and talking to a Sonoma Tourist Office official ,at the Swiss Hotel Bar it is my understanding , tat the Tasting Rooms around the Square are not doing well. One issue among others is , that the Customers to the Wine Bar / Tasting rooms if a purchase is made , inconveniently must schlepp the purchased Wines to their Automobile. Going direct to the Estates is so much more value as the Rooms at any Square’s. So True! I visit Sonoma wine country about once a year and this time noticed SO many more tasting rooms than ever before! I obviously prefer visiting the different wineries and growing regions in the area, you get a much more diverse and enjoyable experience that way, in my opinion! I do like the tasting rooms for the convenience every now and then though. Some are open later than a lot of the individual winery tasting rooms, so when my mother and I were looking for something to do while waiting for our dinner reservation we were able to hit up a tasting room on the square! It’s nice to have as an option but I will always prefer to visit the wineries and vineyards themselves! Hi Heather. Agreed! The tasting rooms can be convenient, and some serve wonderful wines. We just want to make sure people still get out and experience the places where it all happens, like you do! We live in the Chicago area. When we, seriously,started tasting wine 20 + years ago, the tastings were so interesting. Great Wine Shops poured serious wines, from all over the world. Tasters would also bring wines from their own collection to enhance the tasting experience and help educate beginners. Wineries would regularly present the best wines, for tasting. That’s when we met The Benzigers. 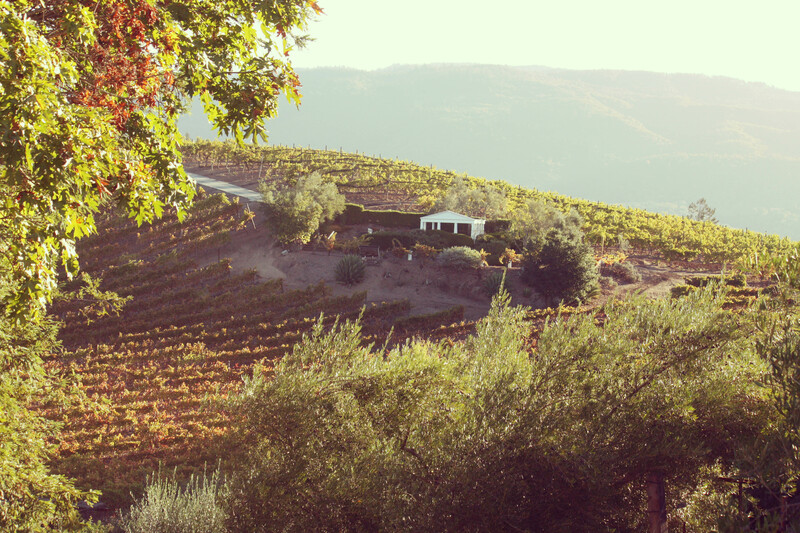 That atmosphere arouse our curiosity enough that we began taking Trips to wine country. Visiting a number of different wineries, and learning that almost every one took a different approach, really sparked a curiosity that has lasted for over 2 decades. Today our local tasting experiences are usually presentations of mediocre uninteresting wines poured in Corporate chain stores. Most of the attendees act as if they are attending a cocktail party, and consumption rather than tasting was the goal. Perhaps the Tasting Room proliferation is due to the new breed of Wine Country Visitors, searching for a cocktail party experience, instead of a true wine tasting experience. Hi Clen. We are so flattered to have been part of your early wine journey. Yes, the times have changed. Luckily, you still have a high chance of running into a Benziger here at the winery!